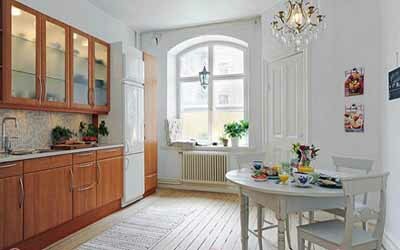 Scandinavian homes look modern, comfortable, functional and light. 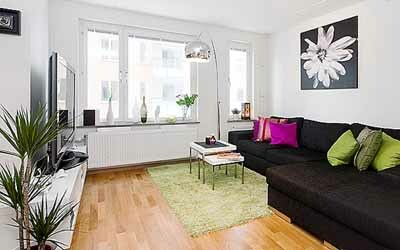 Scandinavian interior style, colors and furniture design feel relaxing, charming and welcoming. 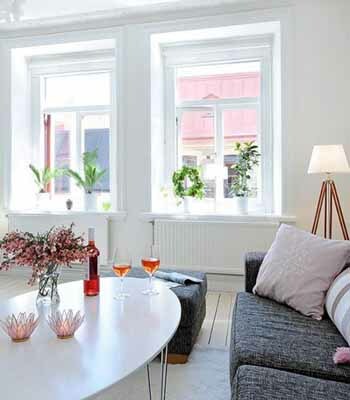 White color and light, functionality and elegant simplicity, optimism and cosiness, natural materials, unique room decorating accessories and comfortable furniture design are the essence of Scandinavian interior style. Scandinavian house and interior design style reflect certain restraint and reticence, typical to northern cultures. Scandinavian living and Nordic design ideas are for those who are not in a hurry. 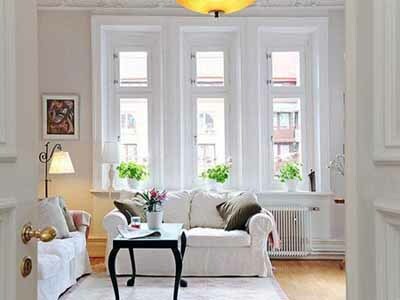 Scandinavian interior design represents comfortable, quiet and pleasant life, where everything has its time and place. Scandinavian homes are about light and white color, practical and comfortable furniture design, functional and cozy room decor accessories. Scandinavian interior design style is about good home organization, airy room design and efficient usage of available space without empty corners. Scandinavian designs hide all small items and house accessories in simple cabinets, closets and wall niches, creating breezy, inviting and modern Scandinavian homes. 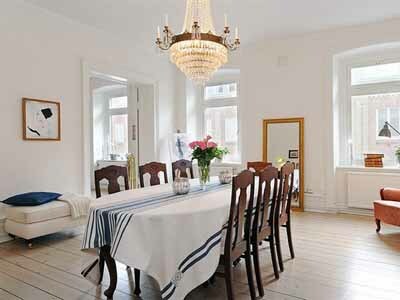 Light and low furniture, simple lines, logical forms and a fireplace or stove are symbols of Scandinavian house design. Nothing obstructs free traffic flow around the room, creating spacious and enjoyable Scandinavian homes. 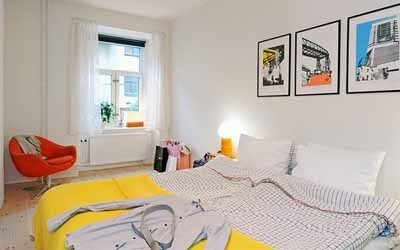 Light colors, open interior design and spacious room decorating ideas compliment Scandinavian homes, bringing bright sunlight into rooms that highlights room decor accessories and makes home interiors feel interesting and cheerful. Bright and unusual Scandinavian house accessories add a unique flavor and positive mood to Nordic design style. Few unusual room decor accessories naturally complement interior design. Scandinavian interior design style pays attention to detail, bringing wisely chosen room decor accessories that emphasize Scandinavian house beauty and make room design feel brighter, more energetic and optimistic. Scandinavian designs bring natural materials and relaxing room colors into modern homes. Beautiful natural stone, glass and wood, birch, spruce and pine, are excellent for Scandinavian interior design style. Wood varnish or stain allow to enjoy the natural beauty of wood. Swedish design offers attractive and light Scandinavian house interiors with wooden window frames and wooden floors in light natural colors. Scandinavian interior design style incorporates stone and brick walls that add a surprising details into room design. Scandinavian interior design style brings glass elements, iron forging, bright plastic, wicker furniture and lamp shades into modern homes. 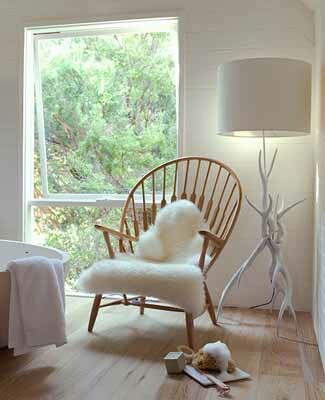 Natural room decorating materials, like flax, cotton and wool, are popular for decorating Scandinavian homes. All textiles, blankets, rugs, pillows, towels, are designed to add more color to neutral in Scandinavian interior design and rescue from depression. 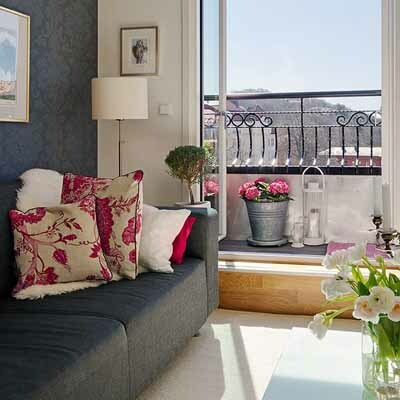 Bright stripes of Nordic design and ethnic patterns create brighter environment and more colorful room decor. Natural wood tones, light shades, especially white and blue, complemented by elegant gray, grass green, deep turquoise, sunny yellow, comfortable beige, cozy terracotta and warm red make distinct, light and bright Scandinavian interiors look charming and pleasant. Potted plants and flowers in vases bring life to Scandinavian interior design, beautifully decorating empty windows and corners. 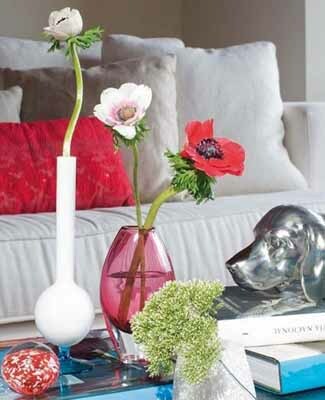 Flowers and plants in white pots, glass vases or tin buckets are typical Scandinavian house decoration. Wall clocks, pop art, black and white photography, painting, graphics and attractive pictures dramatically transform light walls, adding unique character to room design. 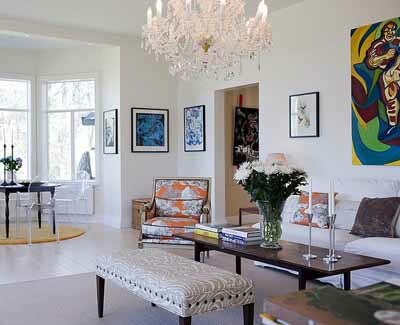 Bright wallpaper design on one wall is another room decor element that presents modern Scandinavian interior design. Natural and artificial light is an important element of Nordic design. Huge floor mirrors are popular room decor accessories that make Scandinavian homes lighter and brighter. 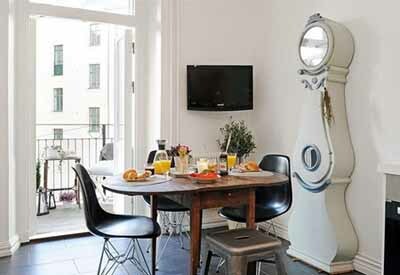 Scandinavian interiors surprise with antique furniture and room decor accessories, – grandfather’s clock or antique chest, that connect generations and add sentimental touches to modern interior design. Simple, carefully selected room decor accessories and Scandinavian furniture items help to create functional Scandinavian interior and comfortable light room decor. Start with white paint, natural fabrics, Scandinavian furniture and house accessories, and transform your home interiors, using Scandinavian interior design and decorating ideas into spacious, bright and comfortable home.